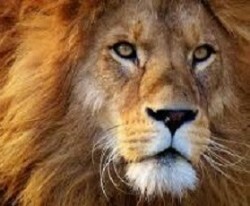 2 Apr 19 - The legacy of colonial hunting has made the king of beasts genetically feebler and more vulnerable. 19 Mar 19 - Armed with solar panels, lanterns and mini-grids, European energy giants hope to capture the data of hundreds of millions of new, increasingly wealthy customers in rural Africa. 22 Feb 19 - South Africa is on course to put a price on carbon pollution, after the National Assembly this week passed a long-awaited Carbon Tax Bill. 7 Nov 18 - Demand for electric vehicles is fuelling a rise in child labour in cobalt mines in the Democratic Republic of Congo, experts said this week, urging companies to take action as the industry expands. 5 Nov 18 - Global warming might have done one good thing for the Zambezi Valley: it may have done for the tsetse flies, with conditions soon too hot for them to breed there any longer. 18 Sep 18 - A tree species discovered in Cameroon nearly 70 years ago has been named -just in time to etch that name on its headstone. 25 Jul 18 - WEALTHY governments have been accused of promoting fossil fuel development in Africa at the expense of clean energy. 19 Jun 18 - South Africa will set carbon targets for each sector of the economy every five years, under a draft climate law out for public consultation. 14 Jun 18 - Climate change is the suspect in the abrupt deaths in the past decade of some of Africa’s 2500-year-old baobab trees. 27 Apr 18 - KENYA'S tough plastics laws appear to be working. Waterways are clearer, the food chain is less contaminated – and there are fewer “flying toilets”. 12 Apr 18 - Six rangers have been ambushed and killed in a Democratic Republic of the Congo park that is home to silverback gorillas. 4 Apr 18 - A six-car police convoy skidded to a halt outside a Cape Town house where a trickle of hose water splashed on to a flower. 3 Apr 18 - The Sahara dessert is getting bigger, turning green vegetation dry and soil once used for farming into barren ground in areas that can least afford to lose it. 16 Mar 18 - The harm a UN forest project in Africa is doing to local people is greater than the good it is managing to achieve for them, researchers say. 24 Jan 18 - Côte d’Ivoire’s brown gold has gradually destroyed the country’s national parks and protected forests. 10 Nov 17 - Ghana and the Ivory Coast are formulating plans to immediately put a stop to all new deforestation after an investigation found that the cocoa industry was destroying their rainforests. 4 Oct 17 - Morocco is getting ready to launch a €200 million ($NZ326m) programme to spark investment in solar power projects in the agricultural sector by 2021. 15 Sep 17 - The world’s chocolate industry is driving deforestation on a devastating scale in West Africa. 29 Aug 17 - Kenyans producing, selling or even using plastic bags will risk imprisonment of up to four years or fines of $40,000.